As I’m sure many of you have heard, Google has FINALLY released an official version of their new Google Search Console Update– and just in time for the New Year! Start off your 2018 search reporting on the right foot with their new reporting features and 16 month’s worth of data. Point is, this is the biggest feature – 16 months worth of data allows you to see year-long trends at a glance without having to get fancy with your excel skills. Anything that is a time-saver is a winner in the world of SEO reporting. Get quicker feedback when trying to fix an AMP page problem. 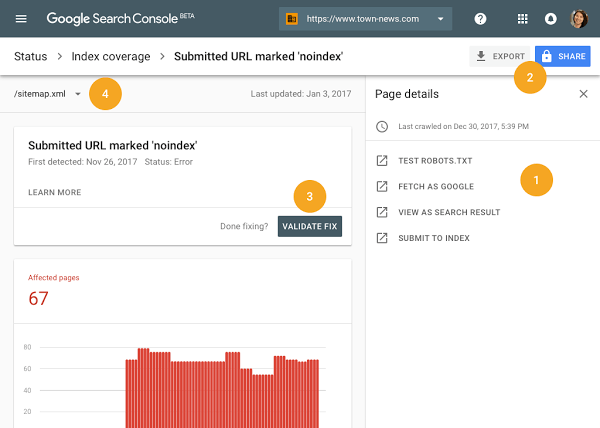 The new Search Console will run “several instantaneous tests once you click the validate fix button. If your pages don’t pass this test we provide you with an immediate notification, otherwise, we go ahead and reprocess the rest of the affected pages.” according to the Google Webmaster Central Blog. If you have job postings on your website, you might be eligible to appear on Google for Jobs. The biggest boon that has been given to SEO’s has been the 16 month’s worth of data that is now available, hands down. Previously, if you wanted to look at year-over-year data, you had to download reports and create your own database to compare trends. Now, you can look at that data at a glance and see trends on search console’s graphs and analytic tools. Google is also claiming to give higher priority to URLs you mark for validation, so instead of the URLs getting updated whenever your next crawl occurs, you can make sure certain links get updated quicker. The filter to look at specific URLs from your sitemap also seems to be an improvement for the eyeballs. It’s a more organized way to prioritize your own links based on how you’ve organized your sitemap. Overall, the effect it will have depends on what you do with the new data and what initiatives you can create with these insights. And hopefully, with the extra time you save with the new reporting features, that time can be devoted to other business goals. 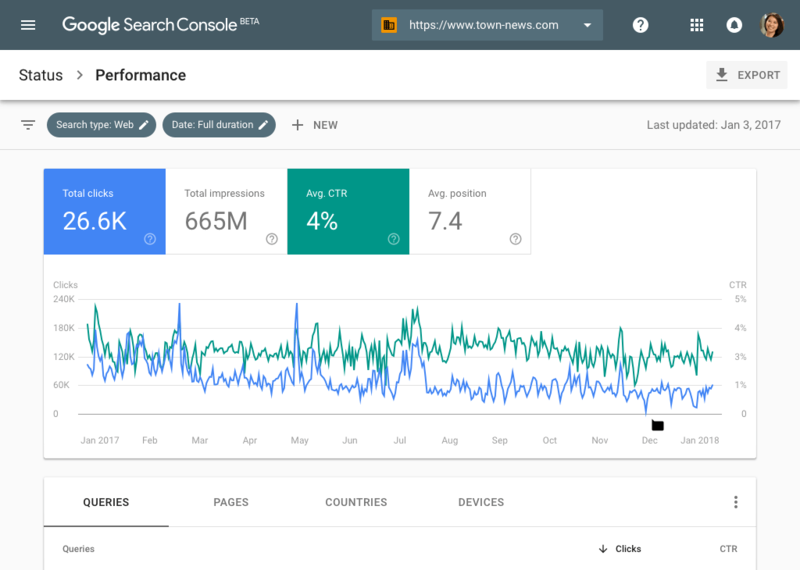 The most obvious next step is to use the new search console! Get a feel for it. For right now, Google has both the old and new versions available so you can ease into the new platform until it’s complete. They will continue to roll out new features and are encouraging feedback on the changes. There is a feedback link on the sidebar of the new tool so you can share your thoughts. Let’s hope the new things coming our way will continue to improve our experience with the platform.